In the center of Prague, the Technical Administration of Communications began to place signs prohibiting, at a certain time, cyclists in selected pedestrian zones. Signs appeared gradually, and the installation will last until the end of the month. 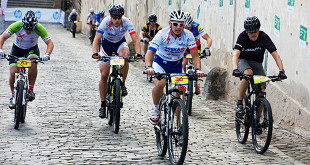 The limitations on the bikes, passed by the Prague 1 administration, will be valid between 10:00 and 17:00, in particular around the lower part of Wenceslas Square, the Square of Republic and the Old Town Square. “The signs are placed gradually in relation to the traffic situation. Additional information on restrictions are added to the existing signs, besides it is necessary to modify the surrounding signs, such as the definition of cycling routes, one-way routes, horizontal road signs and such,” said Barbora Lišková, spokesman for Technical Administration of Communications (TSK). According to Lišková, the changes are related to almost a hundred places and many of them have to be done during night hours, when there isn´t such high pedestrian and car traffic. Almost all of the work consists in modification of existing signs and the new ones are placed only in areas where signs have not yet been placed, or have been damaged. According to the spokesperson, they are now working on major routes such as Jungmannova Street, Na Příkopě or Old Town Square. “Then the yellow guiding signs for the cyclist trails will be added,” said Lišková. Restrictions cannot yet be enforced until they are complete. “During the day, the signs are entered into the system. When we see that the new sign system is complete, the last check will be made and the Prague 1 Transport Department and the City Police will be informed,” Lišková explained. The step that is supposed to lead to increased safety of pedestrians in busy locations, according to Prague 1, has been criticized. The action has been taken against the new sign systém by the AutoMat, according to which it is exaggerated and the Prague 1 office has not adequately dealt with the comments received. 65 of these have been submitted, and the officials have denied them all. At the end of May, the court dismissed the application for interim measures, which would suspend the validity of the restriction. In response, the City Hall said that it would install the signs during this tourist season. Restrictions are planned to bypass routes, for example, Na Příkopě street will have to be bypassed by Jindřišská and Panská streets towards Ovocný trh. Towards the west, the detour will lead to Vodičková and Lazarská Street and continue to Národní třída. The plan was approved before the summer holidays by the city council. According to the original statements of Prague 1, the restriction had to be directed, in particular, against the so-called motor scooters, which began to move through the center of the metropolis following the ban on Segways and endangering pedestrians. Now the representatives of the city district are talking directly about cycling endangering pedestrians, and residents of Prague 1 regularly complain about them. 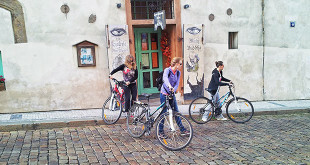 The court annulled the restrictions on the entry of cyclists into pedestrian zones in the center of Prague. The Municipal Court in Prague definitively canceled the Prague 1 measure, which restricted the riding of cyclists to pedestrian zones in the center. The claim was filed by AutoMat and by other two organizations. In the past, the Municipal Court in Prague mostly agreed with the city council. According to the spokesman, Blazek’s court said that the restriction was a valid reason, but that the speed limit for bikers was to be restricted, rather than a ban. However, the Town Hall, according to Blazkova, acted with police officers who told her that it was difficult to measure the speed of cyclists. Previous Refreshments at Prague Airport? Good lunch starting form 100 crowns!